This proven model has always been rigged with the iron horses in the belly, but now it’s available with a pair of Yamaha V-6 four-strokes on a bracket. 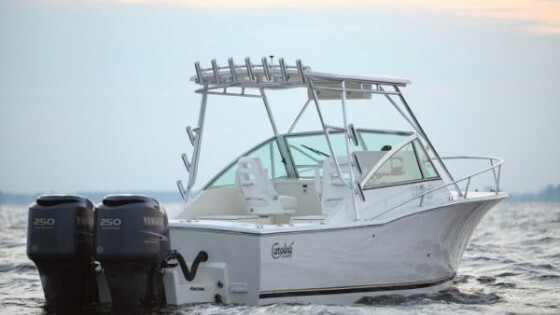 A Carolina Classic with a pair of Yamaha four-stroke V-6 outboards on the transom? It might seem a bit odd, since these boats have always been built with flush transoms and iron in the belly. But in the case of the 25, it makes sense. Can that really be a pair of Yamaha four-stroke outboards on the back of a Carolina Classic 25? You bet - times are changing! First and most importantly, consider performance. With the traditional rig, the 25 cruised in the low to mid 20 knot range. 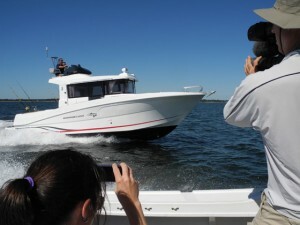 Put a pair of 250-hp outboards on, however, and cruise jumps up to into the 30s. Second, consider reliability. 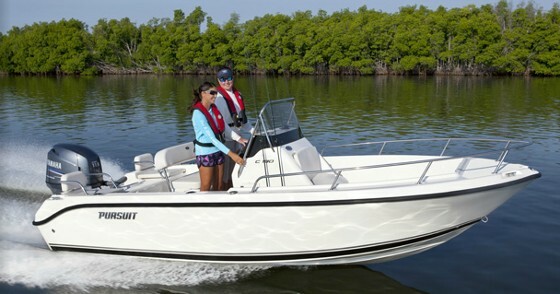 The inboard version is a single-screw boat, but with a pair of outboards on the back you can get home even if there’s a mechanical glitch in one powerplant or the other. And lest we forget, modern four-stroke outboards are shockingly reliable compared to those of yester-year. Finally, consider comfort. Other advantages of today’s four-strokes are whisper-quiet operation and reduced vibration. 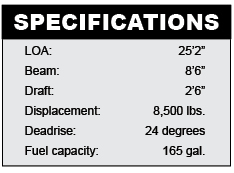 Okay, so maybe putting outboards on a rig like the Carolina Classic 25 isn't so crazy. But you can’t merely bolt a bracket onto the back of an inboard boat, hang up a pair of eggbeaters, and expect it to run right. 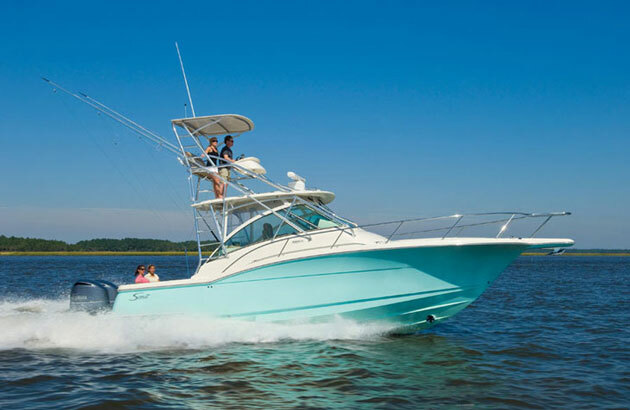 Fortunately, Carolina Classic made a lot of changes to ensure the kind of rough-water performance they demand out of their boats. The center of gravity was maintained by moving the fuel tank forward and redesigning the stringer system. And the different forces created by the outboards also required beefing up and changing longitudinal stringers in the (former) engineroom, to carry that force forward. Of course, there are down-sides to swapping an innie for two outies. Fuel consumption will probably go up, although this depends on some degree as to how you handle the throttles. That said, if you think you can hold ‘em back and cruise slower than conditions allow to save on fuel, good luck—most of us find using the extra speed physically impossible to resist, especially when there are fish waiting to bite just over the horizon. 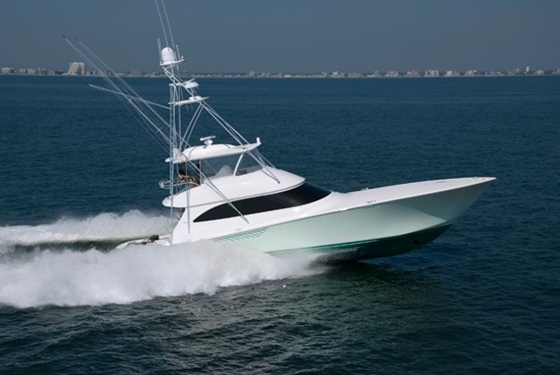 Another potential down-side could arise once you get to those distant hotspots; diesel inboards tend to raise more billfish than outboard boats. Aside from the powerplants, little about the 25 has changed. 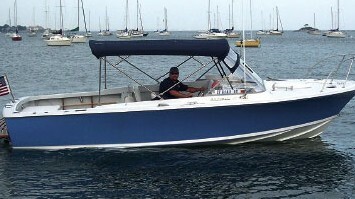 It features the same 38 square-foot cockpit, a tilt-back helm that offers easy access to all wiring and electronics, a 160-quart fishbox in the transom, and a pair of optional 180-quart helmdeck fishboxes. 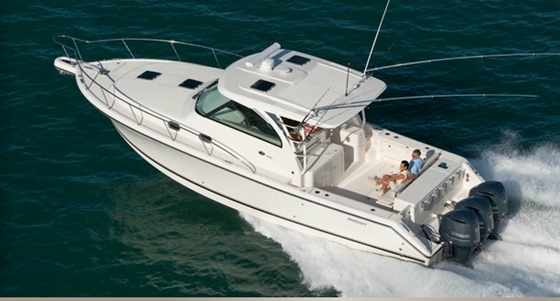 The cabin is compact, but has room for a V-berth, a fixed head, and an optional galley. It’s molded from a single piece, so it’ll be easy to keep clean and you won’t hear the creaking and groaning of multiple fiberglass parts rubbing together. So what’ll it be: the classic version of the Carolina Classic 25, or the new-fangled outboard version? That’s a choice only you can make. But at least now there's a choice. For more information, visit Carolina Classic. 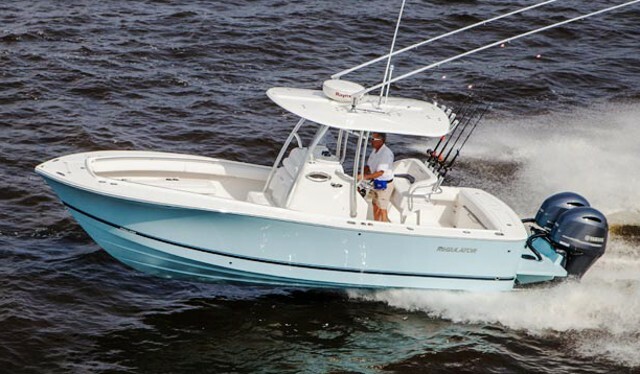 Red Alert: This boat makes our list of the Top 10 Fishing Boats of 2012.